Brandelle » Our Pets, Our Passion!! Way to go Team Canis Major!! Herbi, Jess & all their pals won the “Newfie Challenge” For the 2nd Year Running beating Rother into 2nd place! 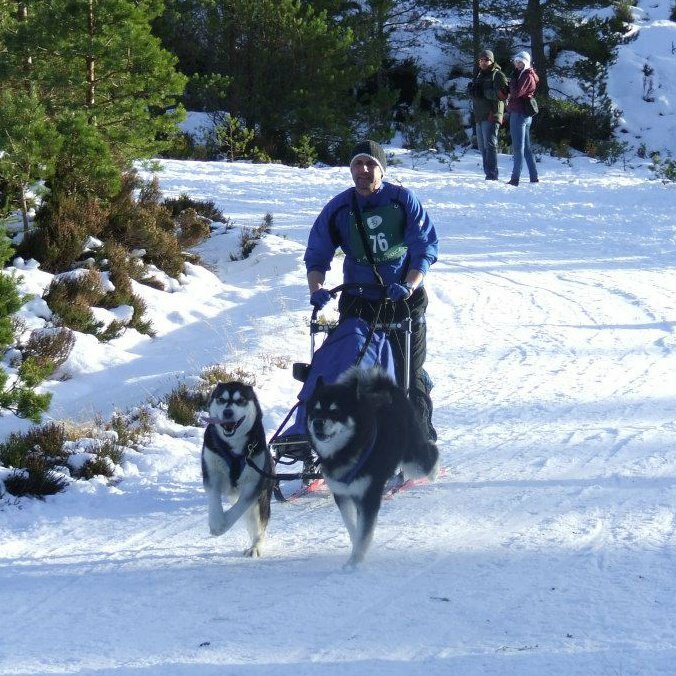 Aviemore 2015!Toroq & KokoA Season Update ! 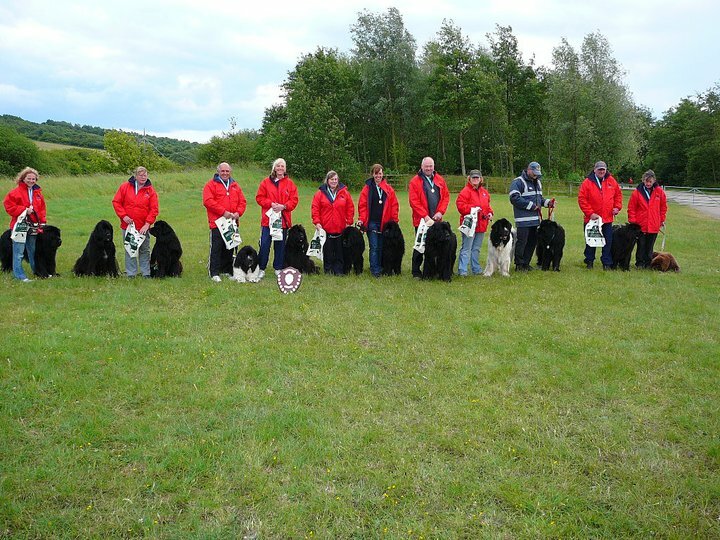 !A Season Round up….Canis Major triumph again!! So back in 2014 Mark offered me the opportunity to run Aviemore with the girls & of course I was happy to do it! So we arrived in Jan 2015 to lovely snow covered trails but sadly by race day there were too many parts uncovered & this made it unsuitable for sleds so we went out on the rig & the girls & I had a great time! 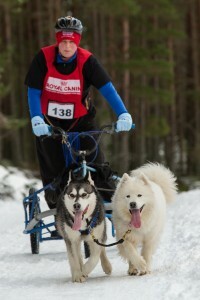 Thank you to Paulina of Sled Dog Photo for this lovely photograph. 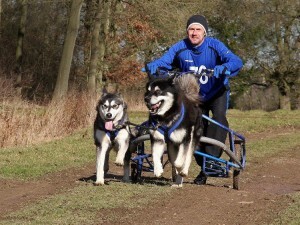 Today, subject to AMCA approval, Toroq & Koko have completed the final leg required for the Working Team Dog Title! 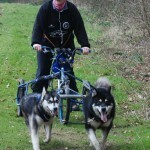 To achieve this they have done a trek at Allerton park, over a distance of 10 miles, 4 times. This has been done with one leg in April 2012, 2 legs the weekend of February 22nd & today. We are so proud of them! Well done Guys!! Thanks to Sara Barstow for this picture. So far the season is going very well for Team Brandelle. We only have a couple more rallies this season & plan to race the new team at this weekends race at Langdale Forest! However, Toroq & Koko with Musher Mark had a fantastic time at Aviemore this year! 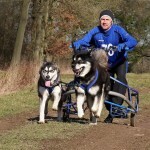 The 30th Aniiversary of the event & on sleds too, the team manged to be the Fastest All Malamute Team in their class, they were the 2nd fastest All Malamute Team from the 3 freight classes across the whole rally! An excellent acheivement for them…! We were also honoured that Soniq competed in her first Rally at Aviemore this year, when hee breeders Alan & Liz wanted to run her in the B2 class with her siblings, Axel, Nadia & Enya. 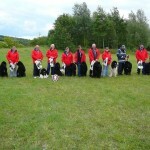 It was wonderful to see them all going out together, the pups all did so well ! Well what a season it has been for Team Brandelle. This year we have been fortunate to compete in more rallies than ever before with Mark, Toroq & Koko starting & finishing 8 together, we did 9 rallies in total but had to borrow Chaska for 1 race as koko was in season, we were very grateful to Amanda for loaning her to us, with Chaska on board the team had a fabulous weekend & finished up in 2nd place! But the highlight of the season, really had to be at the last one at Dyfnanat Forest in Wales, over a very hilly course, Team Bandelle romped home to acheive their very first, FIRST PLACE!!!!!!! We are so proud of this acheivement, it really is a milestone for the team, Koko & Toroq’s first season together too & are also very grateful to all the people that take the time & effort to hold the rallies, it has been lovely to ave 2 new venues with Dalby & Livia to take part in. So now onto Spring time fun.. what everthat may be for this year…………….. Roll on the Winter for us but now it’s Jess & Herbi’s turn to be off out on the weekends as the summer see’s them off doing the water testing that they love! 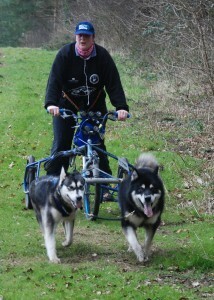 Have fun guys while the Mals take a well earned rest! Many thanks to Gordon Saville for the photograph, taken at Grimsthorpe Estate, Feb 2012.